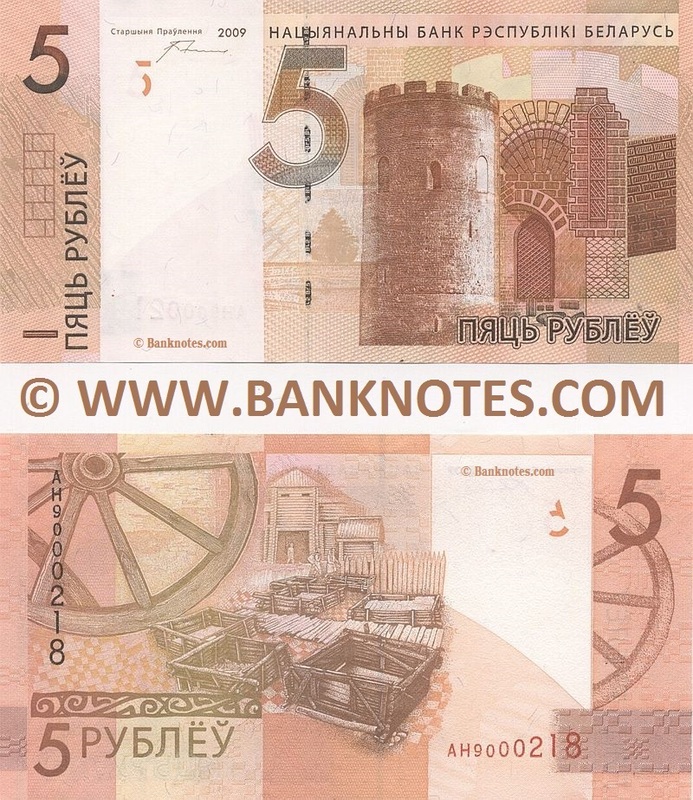 Belarus 5 Rubles 2009 (2016) - Belarusan Currency Bank Notes, Eastern European Paper Money, Banknotes, Banknote, Bank-Notes, Coins & Currency. Currency Collector. Pictures of Money, Photos of Bank Notes, Currency Images, Currencies of the World . and chestnut brown. Artist: Svetlana Nekrasova (Svyatlána Nyakrásava) (Belarus National Bank in-house chief artist and designer). paper. Printing method: Intaglio. Printer: Thomas De La Rue & Co. Ltd., London, England, U.K. Total issue: Unknown. Remark: From 18 December 2015 the ISO letter code for Belarusian Rubel has changed from BYR to BYN. Texts: Pyats' Rubl'ou. Natsyyanal'ny Bank Respubliki Belarus'. Five Belarusian Rubles.